The Termix Carbon 814 Wide Tooth Cutting Comb is designed with wider teeth for speed combing. 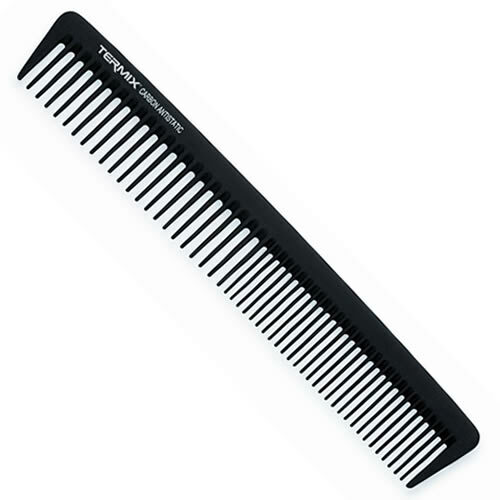 It's ideal for cutting and all general styling and features rounded teeth to help protect hair from breakage. £19.56 (inc. VAT) Why no VAT? We're a trade wholesaler and quote our prices without VAT to help our VAT-registered customers understand the true cost of a purchase.